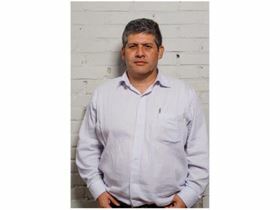 Rafael Lopez, Flowrox's new area sales manager, South America. Lopez, who is based in Santiago, Chile, will support Flowrox representatives and customers in South America. Flowrox, which has subsidiaries in Moscow, Russia; Shanghai China; Sydney Australia; Johannesburg South Africa; and Baltimore USA, has a network of 220 representatives globally.